As a child actor in films like You Can Count On Me (2000) and Signs (2002), Rory Culkin was a much calmer and more thoughtful presence than his older brothers, Macaulay and Kieran, had been at the same age. Whether that distinction was a savvy career move or just a matter of personal temperament, it worked—he came across as a person, not as a cheek-slapping cartoon, and has had better luck making the transition to adult roles. 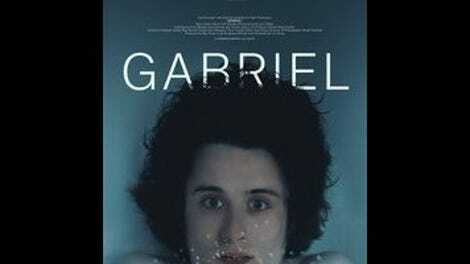 Gabriel, the first feature written and directed by Lou Howe, gives Culkin an opportunity to demonstrate serious range, and he takes full advantage; if this film doesn’t ignite his career, it’ll only be because too few people see it. More remarkable still, he gives maybe the movie’s fifth-best performance. That’s by no means a knock on him—rather, it’s a testament to Howe’s skill with actors, which should serve him exceedingly well once he figures out just what it is he wants to communicate with that talent. For this first effort, he’s settled on a character study of a young man who initially just seems a tad intense. Gabriel (Culkin), who much prefers to be called “Gabe,” is first seen on a bus, messing around with the little kid sitting nearby; when the kid’s mom intervenes, treating Gabe as if he’s potentially dangerous, it looks like an overreaction. Gradually, however, it becomes clear that something is not quite right with Gabe. He spends some time attempting to locate a college student named Alice, telling people that he plans to ask her to marry him… but he doesn’t appear to have been in contact with her for several years. When he arrives home, it emerges that he’s just been released from a mental hospital. Details remain sketchy, but the way that his mother (Deirdre O’Connell) and older brother (David Call) immediately tense up when Gabe casually grabs a bread knife at dinner speaks volumes. They both want nothing more than to help him, but Gabe remains monomaniacally obsessed with finding his childhood sweetheart. That’s pretty much the extent of Gabriel’s narrative, which just sees Gabe repeatedly deflect the loving attentions of his family and try to get to Alice; when that finally happens, Howe is forced to reveal that he has no ending. But this movie is more journey than destination, and it somehow manages, while sticking entirely to Gabe’s perspective (embodied by Culkin’s live-wire restlessness), to convey how exhausting mental illness can be for everybody who’s forced to cope with it. O’Connell, Call, Lynn Cohen (as Gabe’s grandma, Nonny), Alexia Rasmussen (as Gabe’s brother’s girlfriend), and Emily Meade (as Alice)—each one exhibits an utterly credible mixture of empathy and frustration, at once wanting to help and yearning for relief. Even minor characters like Alice’s roommate (Louisa Krause), who appears in one brief scene, are so vividly drawn that it would come as no surprise should the movie turn out to be primarily about them. Howe also demonstrates a precise sense of rhythm (the film’s opening slow fade onto a tree, followed by the jarring rupture of Gabe’s bus zooming by at high speed, sets the tone), which makes it a disappointment to see his protagonist go in unilluminating circles. Still, this is a very promising debut, and debuts, it’s easy to forget, are supposed to be promising. Give the guy a chance to work out the bugs.